This entry was posted on January 8, 2019 by Liam Rodgers. You know you want to be able to perform amazing feats of strength and movement but getting from square one to proficiency isn’t easy or simple. Today, we’re going to help with this process and provide you with an idea of where to begin. We’ll be discussing and outlining a calisthenics workout beginner program to help you understand how to get better and where to begin on your journey. This is a program designed to give you a well-rounded base in calisthenics and prepare you for future training. How does a Calisthenics Program Work? While the main focuses of a calisthenics program are similar to those of any other strength training program, they come with their own needs and details. If you’re not relying on a barbell and numbered weights, it takes a little more finesse to get better. To start with, you’ll be using angles and leverage to get stronger. This means that, instead of just adding more weight, there will be times when you progress from easier to more disadvantaged movements. For example, raising your feet to increase the difficulty of a push up or moving your hands narrow to change the focus onto the triceps. A home Calisthenics program should always focus on a mixture of reps, weight, and progressing though these different movements. You won’t need much equipment, either: that’s the point of an effective home workout/calisthenics training. You’ll just need to be able to raise/lower your feet and be able to perform dips/pull ups. The two most important pieces of “bonus” equipment are gymnastic rings and a dip belt with some plates. 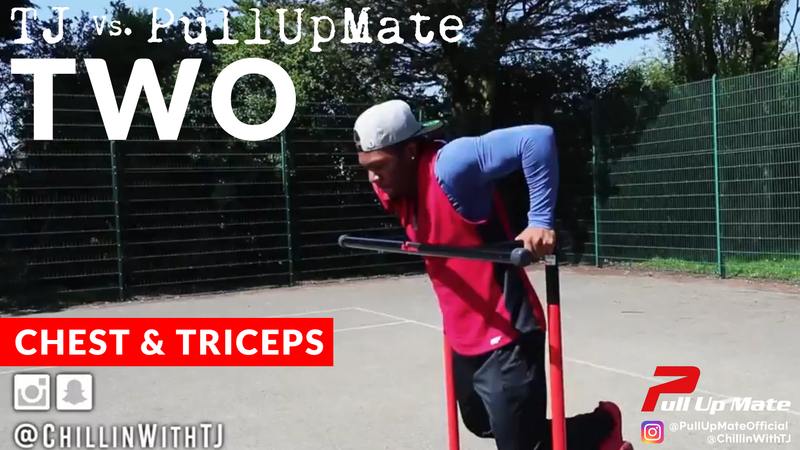 These two pieces of kit are great for progressing and getting stronger. They add a different dimension to training – either weight or increased demand for stability/control and are great investments if you really want to get better at bodyweight strength training. There are a few key exercises/progressions that are going to be important to the way that you train for a calisthenics program. They are easily divided into a few crucial groups of exercises, each with their own focus and characteristics. Push: This includes everything you might expect – from push ups to dips and the wealth of awesome gymnastic exercises you’ll get to later on. These are exercises that involve a pushing motion, meaning that they typically use the muscles of the triceps, chest, and shoulders. Pull: the opposite of the push, involving exercises like pull ups, inverted rows, and anything else that focuses on the muscles of the biceps and upper back. These are important for posture and balancing out the push exercises, as well as building the strength for future gymnastic movements. Legs: Calisthenics usually neglects the legs, but they’re a crucial body part. It’s possible to build strong legs with bodyweight movements and there’s no excuse for ignoring the whole lower body. It does take a little more focus and attention to detail, but the beginner program will include various leg exercises. Core: the core is where gymnasts and calisthenics specialise – everything you do in calisthenics will benefit from a much stronger set of core muscles. This doesn’t just mean sit-ups, however, as the core involves flexion, rotation, and lateral movement. Simply put, proper core training is serious and should be taken just as seriously as other exercises. Balancing these exercises is one of the key reasons that a beginner’s calisthenics workout program is useful. Many of us tend to focus on the things we’re good at – or prioritise things that are fun – but structure can bring balance to your body and sustainable, long-term progress. 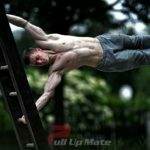 There are a few ways to actually improve in Calisthenics – and they’re similar to how you might progress in any other form of exercise. Firstly, you can always just add repetitions. If you could do 5 last week, and you can do 6 this week, you’re stronger. This is where most of the work is going to come from in any long-term approach to training: getting better at performing the same movements for more repetitions and/or sets. More sets will be useful when you’re struggling to nail the technique or are limited by strength. This is why it’s always a good idea to train towards an RPE goal – or at least an idea of how many repetitions you have “in the tank”. RPE is simply a scale from 1-10 of how hard the workout is feeling – you aim for (e.g.) an 8/10 based on that day’s training. So, push ups for an RPE 8 would be doing reps until you feel like you’re at 8/10 difficulty of only have 1-2 reps left in the tank. For the program we’re going to discuss today, the RPE system is probably the easiest way of standardising your training. This means that you work towards a certain difficulty or reps-in-the-tank for each exercise. This allows a single program to be useful for everyone, which can be tricky since you’re not going to have the same strengths and weaknesses as others. Another simple system we use on this program is the REP goal. This is incredibly simple: perform the stated number of reps in as few sets as possible. Got 50 reps? Get them done at your own pace but get them done. This is a great way to deal with the uncertainty of bodyweight training and the fact that you don’t just have a “best lift” to use as a measuring stick! The structure of the program is pretty simple: you train alternating days, then rest on the third day. This is possible because calisthenics overload muscle fibres more slowly than weighted exercises and can be trained more often, as well as meaning shorter workouts. This makes them far more useful for fitting into a busy work, student, or family life. The days are called A and B – and are discussed below. In weeks 1 and 2, you’ll be training every other day, with a format like this: A – rest – B – rest, repeat. This is so you have sufficient time to recover, as you’re going to progress rapidly without much training to begin with. During weeks 3 and 4, when you’re a little more accustomed to training, you’ll train without the first rest day. You’ll perform workout A, then workout B on the next day, and rest on the 3rd day. This affords you enough training to keep making progress while keeping workouts short and ensuring you’re getting enough rest to build muscle and strength. While you might not be subjecting yourself to the same levels of stress and intense training that an Olympic Gymnast or Weightlifter might, you’re going to need to focus on recovery. This is when your body repairs the muscles you’ve stressed and develops them in preparation for future training. As you might expect, this is when you get stronger! 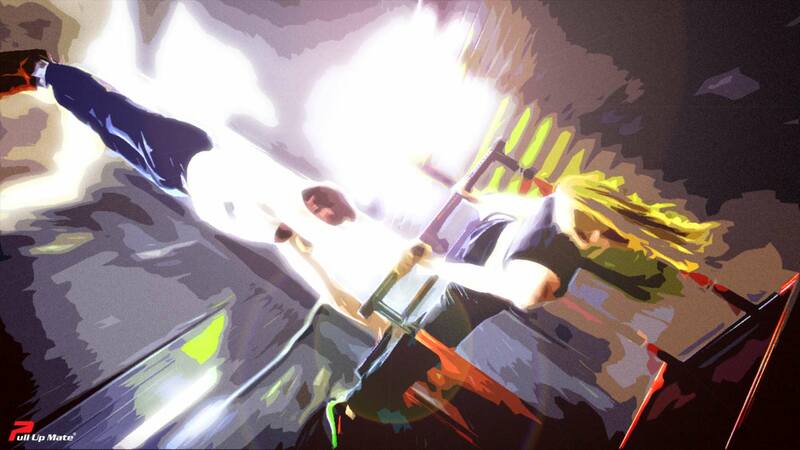 Sleep: if you’re not resting enough, you’re going to be poorly recovered and stunt your own muscular growth! Food: a crappy diet will bring that exact same type of results. A good diet – one that is rich in protein and key vitamins/minerals – will assist your training. Eat to fuel performance and you’ll do just fine. Stress: too much stress is going to reduce your ability to perform and grow, as well as being a general negative for your physical and mental health. Try to relax, stretch, and find some peace of mind before bed. It’ll aid in recovery. Alcohol, Smoking, other Lifestyle Factors: Do less of this. Duh. These behaviours are all contributing to increased stress and dysfunction, while alcohol and other poor habits will directly affect your ability to train and recover. This isn’t to say you need to live like a monk, but the simple reality is that your body will adapt to your whole life: prioritising training means practicing moderation. The time between training is important, and you should prioritise the things that make you better. Reducing stress, boosting food/sleep, and controlling the other factors for recovery all improve your results. Commit to it and you’ll see rapid benefits! 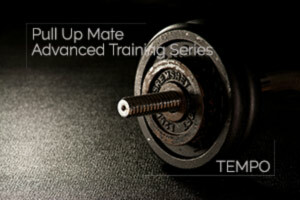 Don’t forget to check out the new Pull Up Mate 2 – Your complete home calisthenics workout tool. A key part of calisthenics, getting strong and flexible come hand in hand. Strength builds flexibility, while flexibility can help you train more effectively, get stronger, and avoid injuries. Nothing slows you down like a silly injury that you could’ve avoided by improving your range of motion and posture! Just make sure that you’re stretching the tight stuff and controlling the movement. There’s no benefit to your joint-health if you’ve got lots of range-of-motion but you’re totally flaccid throughout. Control is one of the key aspects of effective mobility and preventing injury. Look at using loaded stretches and focusing on patient, controlled exercise rather than rushing the stretch. Finally, make sure you’re strengthening the opposite side. This sounds obvious, but it’s one of the most overlooked aspects of joint health. If you have a tight chest and weak upper back, you need to loosen the tight muscle and strengthen the weak one. Both sides need full-range strength to be healthy. This is especially important when balancing the core with the muscles of the lower back. 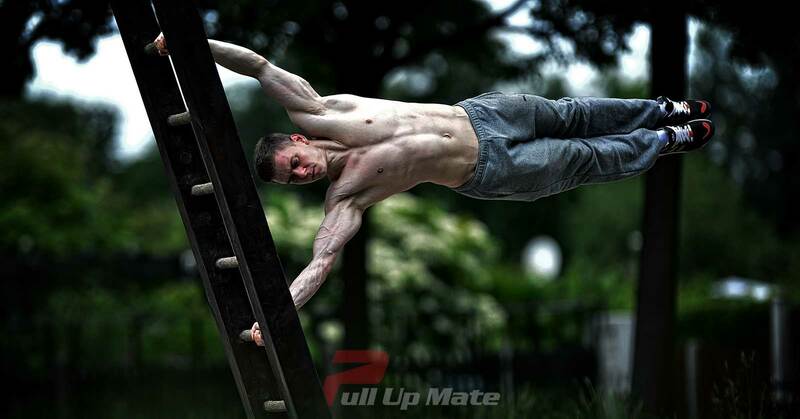 Calisthenics are a great way to get stronger and more aesthetic. 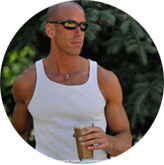 They’re a key part of training plan for everyone from bodybuilders to Gymnasts. Training with bodyweight comes with a wealth of benefits from “joint conditioning” to strength, appearance, and performance in other sports. All it takes to get started is a little time, commitment, and very little equipment. 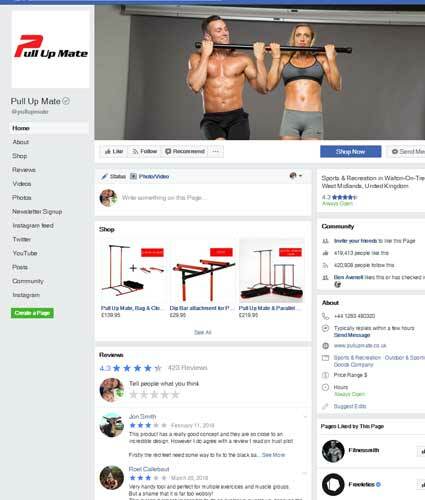 This is why we’ve worked so hard to make sure that the Pull Up mate can be used to perform countless exercises, stored easily, and is available at a great price. 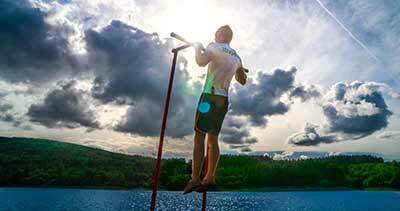 Put some time into your calisthenics – whatever your specific goals – and you’ll see serious benefits in the long run! Beginner to 10 Chin Ups Accelerating your journey to better bodyweight training. How to get from 0 to 10 Chin-ups. Simple, clear guidance. Parallel bars are an amazing bit of home fitness kit. With just bars plus your body weight, you can do a massive variety of exercises that will build all-round body strength. Get started with this 5-exercise, 10-minute parallel bar workout that hits your upper body, lower body, abs, and core! Summer means taking your fitness outdoors! Don’t waste a minute of outdoor workout time with our guide to the best outdoor fitness. Chin up bar core workout Chin up bars aren’t just for chin-ups. 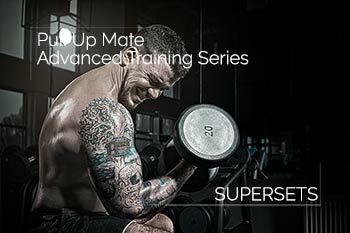 Stop wasting time in the gym – start using supersets to build serious upper body size and strength! 5 Great Upper Body Workouts Looking for some awesome, muscle-building workouts to develop your upper body? 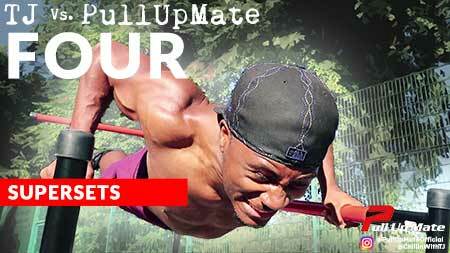 Check out these top 5 workouts from Pull Up Mate.